The Tegeta mining company is owned by the Gupta family in South Africa, who are strongly linked with President Jacob Zuma. Business media reported 2018 – A South African consortium called Project Halo has submitted the winning bid of R3.05 billion for three major assets of Tegeta Exploration & Resources, the Gupta family-linked mining company under administration since February. Project Halo will buy Optimum Coal Mine for a maximum of R2.8bn, Koornfontein Mines for R200 million and Optimum Coal Terminal for R50m, according to the term sheet. Glencore sold Optimum to Tegeta Exploration and Resources in 2015, and it was placed under business rescue after Eskom refused to renegotiate what it said was an unprofitable coal-supply contract and issued penalties. In a bizarre twist, a former Gupta company is taking on another of the family’s companies in a bid to recover R4 million in unpaid rent and services. Business rescue practitioners for Tegeta Exploration and Resources – which is under business rescue – have filed for the liquidation of Oakbay Investments in the high court in Johannesburg. The application, lodged on Monday, states that Oakbay rented office space from Tegeta at its Sandton offices in October, 2013. Oakbay apparently does not have a business address or a legal entity where the sheriff of the court could serve the notice filed in the high court. Tegeta, through business rescue practitioners Robert Knoop and Louis Klopper, has given Oakbay executives five days to contact their lawyers, Smit Sewgoolam Incorporated. 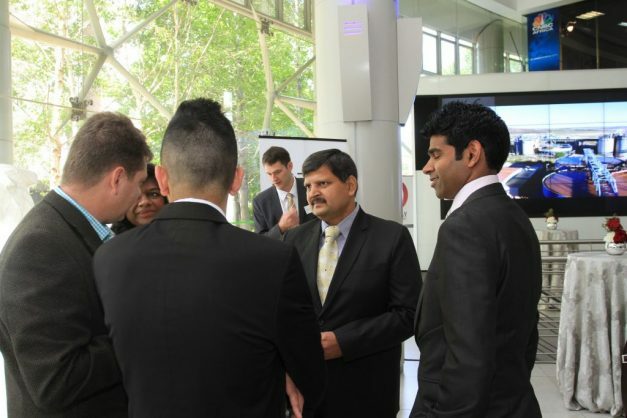 Tegeta was one of the Gupta-owned companies that was placed under business rescue last year. Knoop, in his founding affidavit, said Tegeta entered into a lease and service agreement with Oakbay. Oakbay rented office space from Tegeta, which also provided them with office facilities. This came at a cost of R150 000 a month. Knoop said the parties also agreed to escalate the payment by 10% per annum for the duration of the lease agreement. “Oakbay Investments is indebted to Tegeta in the sum of R1 380 000 in respect of outstanding rental and services rendered by Tegeta for the period of June, 2018 and January, 2019,” Knoop said. He also said Oakbay failed to pay the annual fee increment amounts since the agreement was signed in October, 2013. “Oakbay is therefore further indebted to Tegeta in the sum of R2 416 554.90 in respect of the escalated portion of monthly fee payable in terms of the agreement,” Knoop said. He said since December, notices were served on Oakbay, but the company allegedly failed to pay. The City Press reported that Eskom has quietly awarded a R564 million contract to Optimum Coal, which is owned by President Jacob Zuma’s son Duduzane Zuma and the Gupta family. In April this year Tegeta Exploration and Resources, a subsidiary of unlisted Oakbay Investments, completed the R2.1 billion acquisition of Optimum Coal. According to the newspaper Tegeta is owned by Oakbay Investments (29%), Duduzane Zuma (28.5%), and three other investors. Before the lucrative Eskom contract, Optimum Coal was a struggling mine losing millions each month. The business rescue practitioners of Optimum Coal reported that the mine was projected to lose R100 million a month.